Welcome to Factory Expo Home Centers and our factory located sales center in Ocala, Florida. This location offers factory and model village tours 6 days a week and serves the following states: Florida, Alabama, Georgia. 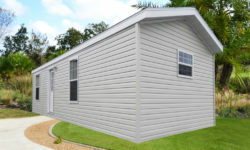 We have 55+ mobile home floor plans to choose from in a variety of different series. All of our single wide and double wide homes come standard with name brand appliances and manufacturer’s warranty. Call today to learn more about our factory direct pricing or to make an appointment for a free guided factory tour. Recent times have seen both the national economy and the housing market enjoy a much needed comeback. With that in mind, it’s still hard to find better value in the world of home ownership than in Mobile Homes. Site built homes might be significantly more expensive than manufactured homes, but don’t let the higher price tag fool you, they are by no means better. 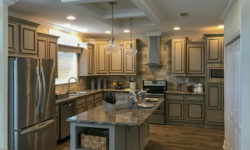 Today’s manufactured homes, while very affordable, are every bit as well appointed and modern as site built homes, boasting impressive features such as granite counters, luxurious bath suites, rustic stone front fireplaces, elegant French doors, Energy Star ratings, hard wood floors & cabinets, and designer kitchens equipped with nationally recognized name brand appliances. 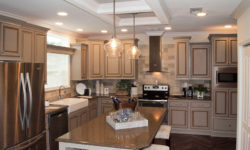 Mobile homes are also available in a wide variety of sizes and configurations ranging between 400 and 3,000 square feet thus there is something for everyone. 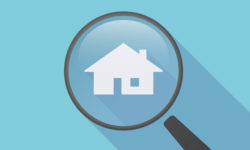 As it should be, construction quality is a major concern for potential home buyers and the manufactured home industry understands and embraces that concern. At a minimum, manufactured homes must adhere to strict federal and state building codes. Beyond that, factories have been perfecting the craft of home building for several decades now and use their considerable experience and finely honed skills to produce high quality, trustworthy mobile home structures built in controlled environments. A key advantage of constructing homes in a factory setting means every part of the home is protected from vandalism and weather related damage. And consider this immutable fact. A manufactured home has to be built well enough to withstand the rigors of long distance road travel. That’s a standard site built homes can’t match. Need more reasons to consider a new mobile home? Affordability and quick build times make them ideal for first time homebuyers, retirees, park owners, investors and developers. Additionally, they can be used as secondary homes, vacation homes or in-law dwellings. For those interested in financing there are many options and products available by way of specialized lenders, traditional banks and credit unions. Home buying can and should be a positive experience for every type of buyer and Factory Expo Home Centers is determined to make it so.